The much-awaited Oyster Wharf in Mumbles has unveiled some popular national brands that will be taking up residence in the exciting new seafront development. 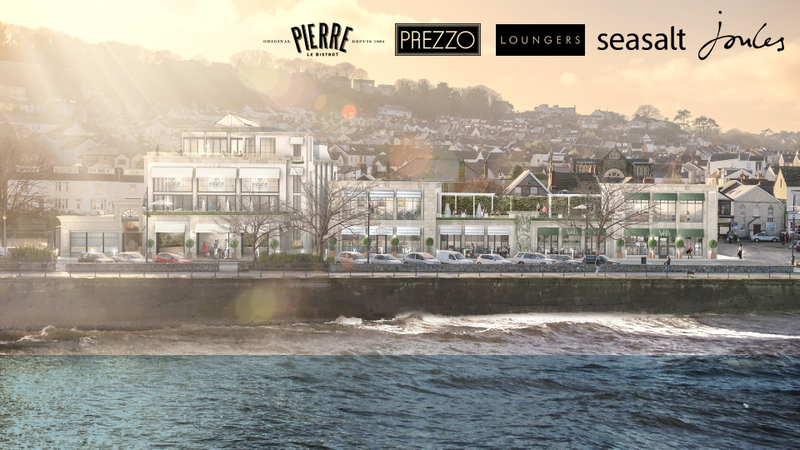 Oyster Wharf developer, Nextcolour Ltd, is pleased to announce the signings of Prezzo, Loungers, Seasalt and Joules to Mumbles. Prezzo and Loungers are set occupy the two restaurant units adjacent to the Tivoli Building facing onto and overlooking Swansea Bay. Award-winning Italian restaurant operator Prezzo offers a range of Italian-inspired dishes including pizzas, pastas and salads. All-day café bar and restaurant operation, Loungers will offer a quality, value for money, casual dining experience similar to their operation at Secco Lounge, Royal William Yard, Plymouth and Visto Lounge, Torquay. James Morse, Director at Nextcolour, said: “We are very pleased two great restaurant operations are joining us at Oyster Wharf which is great news for Mumbles and the Swansea Bay region. 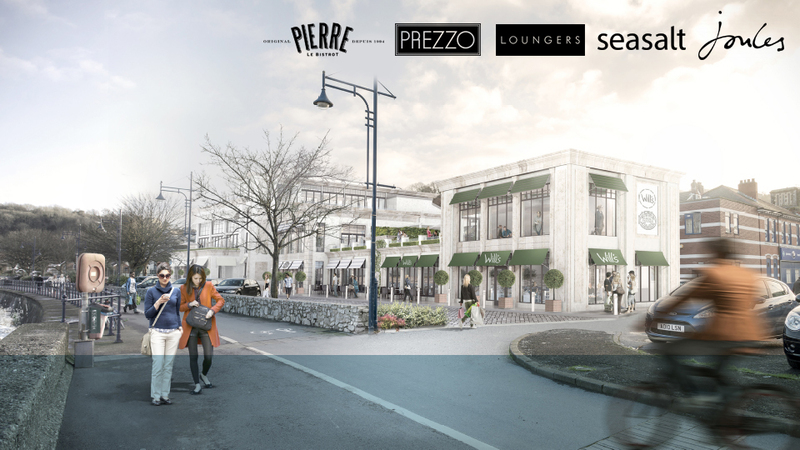 As well as Prezzo and Loungers, Oyster Wharf has signed national fashion retailers Seasalt and Joules to occupy the two retail units that will be developed at 512 Mumbles Road next to Costa Coffee. The Mumbles shop will be Seasalt’s first venture in Wales with the Mumbles store selling its coastal-inspired clothing and homeware. Joules, already trading in Newton Road in Mumbles, will move to a larger unit in order to accommodate a greater range of clothing and homeware products. EJ Hales has acted for Oyster Wharf on the lettings of the restaurant units and Cooke and Arkwright on the retail store lettings. Meanwhile, T Richard Jones Ltd of Ammanford (TRJ) have been named as the official construction company with regards Oyster Wharf.